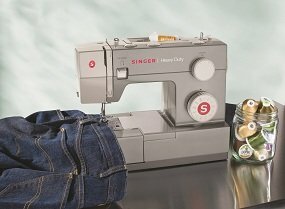 The SINGER 4411 Heavy Duty sewing machine is a true workhorse. With a heavy-duty metal interior frame, stainless steel bedplate, extra-high sewing speed and powerful motor, the 4411 Heavy Duty can sew through just about anything you throw at it. Convenient features including a top drop-in bobbin, drop feed for free-motion sewing, automatic four-step buttonhole, and adjustable presser foot pressure add a new dimension of ease to heavy-duty sewing. The SINGER 4411 Heavy Duty sewing machine is a true workhorse. 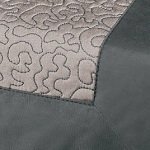 With a heavy-duty metal interior frame, stainless steel bedplate, extra-high sewing speed and powerful motor, the 4411 Heavy Duty can sew through just about anything you throw at it. 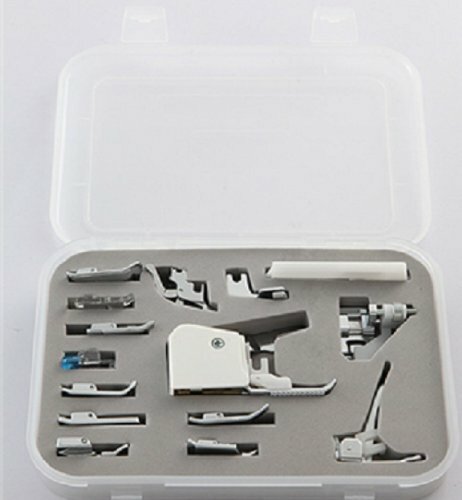 Convenient features including a top drop-in bobbin, drop feed for free-motion sewing, automatic four-step buttonhole, and adjustable presser foot pressure add a new dimension of ease to heavy-duty sewing. 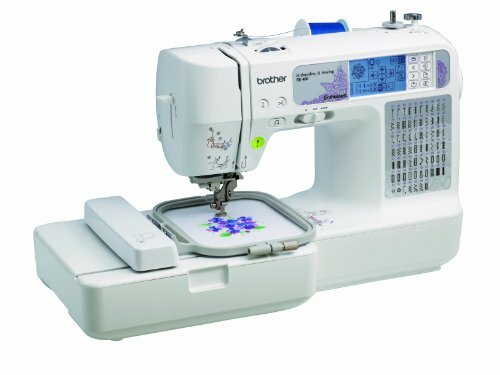 Eleven stitch patterns with adjustable stitch length and width makes this machine perfect for both utilitarian and creative projects. Free arm with accessory storage, adjustable presser foot pressure, and provision for mounting in a cabinet are also featured here. 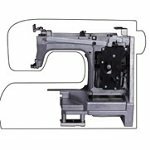 Heavy-Duty Metal Frame Rigid support holds all the mechanisms in perfect alignment for skip-free sewing. Stainless Steel Bed Plate Fabric glides easily across the machine arm. Top Drop-in Bobbin Convenient drop-in bobbin is easy to insert, remove and monitor thread supply. 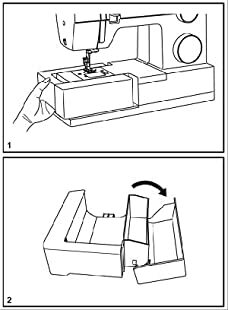 Automatic Four-step Buttonhole Make beautiful buttonholes automatically in four easy steps. 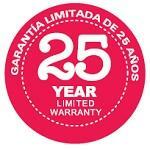 Commercial and Household Use Warranty Limited 25-year warranty on the sewing machine head, limited 2-year on electrical, limited 90-day warranty on labor. This machine is warranted for commercial, household, and school use. 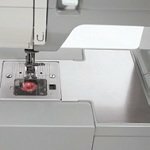 Drop Feed Free motion sewing for creative topstitching. 60% Stronger Motor A stronger motor than standard sewing machines allows it to sew through heavyweight fabrics with ease. Free Arm Provides professional results by offering easy access to cuffs, collars, pant hems and other difficult-to-reach areas. On-Board Storage Storage of accessories in the removable sewing bed means accessories are always handy. Automatic Reverse Automatically sew in reverse and reinforce stitches. 5mm Stitch Width Select stitches can be set to 5mm wide–providing a bolder and more pronounced look. 1,100 Stitches per Minute This machine sews faster than a standard sewing machine. Adjustable Presser Foot Pressure Control Sew lightweight to heavy fabric with ease by adjusting the presser foot pressure. Snap-on Presser Feet Quick release for easy on and off–change presser feet in a snap. Extra-High Presser Foot Lifter Offers more clearance for multiple layers of bulky fabric under the presser foot. Three Needle Positions Needle position can be changed for individual projects, such as inserting zippers or cording and topstitching. Adjustable Stitch Length Adjust the desired stitch length by a simple turn of the dial. 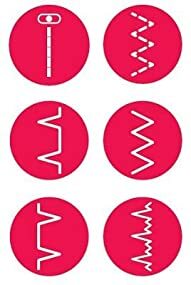 Six basic stitches, four decorative stitches, and one buttonhole–perfect for crafts, home décor, clothing construction, and much more. Six essential stitches are the core stitches of construction and mending. Four decorative stitches allow you to create special details on any project. The automatic four-step buttonhole guides you through every step to professional results. 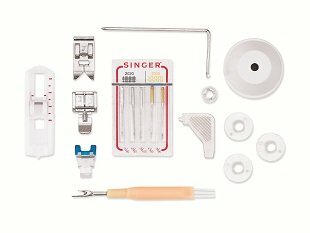 All-purpose foot, zipper foot, buttonhole foot, button sewing foot, seam ripper/lint brush, quilting guide, needles, bobbins, screwdriver, auxiliary spool pin, spool pin felt, and dust cover. Singer 4411 I am a self employed seamstress and I am very hard on machines, especially with hemming blue jeans and zippers in carhart coats and many other things. One thing I was looking for was an affordable product that was heavy duty. Singer is always a great brand and I watched videos on what this product can do, so I ordered it. Much to my dismay, I found that it wasn’t any different than any other machine. Heavy Duty on this machine means nothing. It does do some of the things that they say but it does not go through all the layers of material that it says. Overall it is a fine machine, but it is not Heavy duty. The quality thread can make ALL the difference– recommend the coatsandclark regular polyester smaller spool thread is best. Quality can vary in a brand, the larger spools can have a lesser quality thread and not spin that well. Use good needles, that will also make ALL the difference is keeping the timing optimal. Seems to cost a little more but younwill save time and mony in the long run. 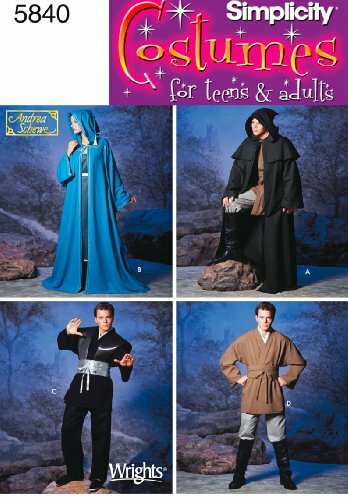 If you do a quantity of sewing, consider buying a basic machine you like and replacing the machine every so often. This concept really works in efficiency, no frustration and is economically worth it. No point in overinvesting.